For the second time in less than 24 hours, the University of the Fraser Valley women’s volleyball team dispatched the College of the Rockies Avalanche in four sets. 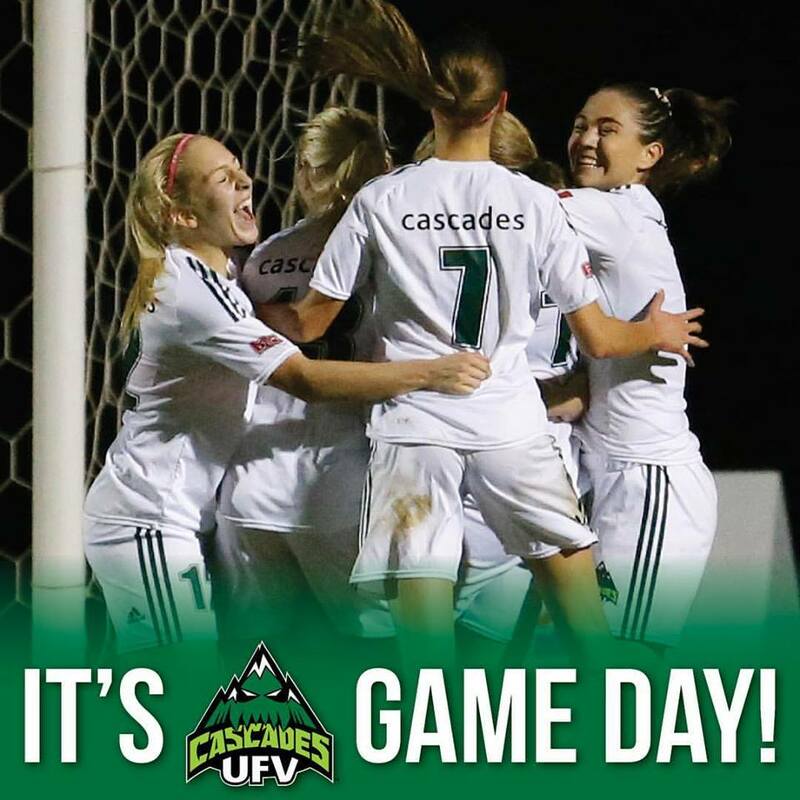 Coming off a victory on Saturday evening, the Cascades had a rare 11 a.m. start at UFV’s Student Activity Centre on Sunday. They prevailed (25-18, 23-25, 27-25, 25-22) to move into a tie with the Capilano Blues for third place in the PacWest at 9-9. The sixth-place Avalanche fell to 7-13. “Today definitely felt better than yesterday, 100 per cent,” Cascades left side Kelly Robertson said. “It felt like we were clicking, and a fluid team, whereas yesterday it was more scrambly. The Cascades picked up where they left off the night before with a seven-point victory in Sunday’s first set, but they fell behind midway through the second. Trailing 22-18, UFV reeled off four straight points highlighted by some tough Nicole Blandford serving to knot the score, but the visitors scored three of the next four points to level the match at a set apiece. The Cascades won a hard-fought third set which extended past 25 points, and then managed to close things out in a wild fourth set. UFV appeared to be in cruise control, up 18-12, but the Avalanche stormed their way to eight straight points to seize the lead. A pair of sophomore left sides, Robertson and Rachel Funk, helped the hosts steal the momentum back, though. Funk drew the Cascades level with a kill and an ace, consecutively, then Robertson took over, pounding three kills in quick succession to help end the match. The Cascades ran their winning streak to three games, and reached the .500 mark for the first time since October. Blandford ran the offence efficiently, setting the table for the likes of Robertson and Funk, and libero Amy Davidson continued to provide strong passing. 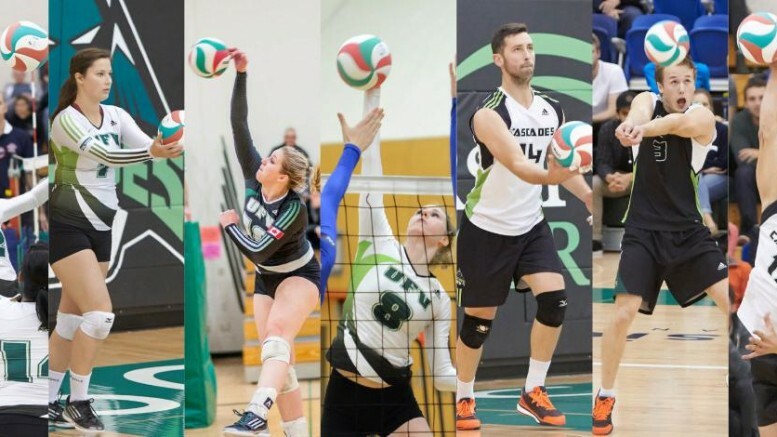 The Cascades volleyball teams are on the road next weekend (Feb. 5-6), taking on the Capilano Blues. Their next home games are Feb. 12-13 vs. the Douglas Royals. It took a while for the University of the Fraser Valley men’s volleyball team to get rolling, but they eventually built enough momentum to carry them past the College of the Rockies Avalanche for the second straight day. Coming off a three-set triumph on Saturday, the Cascades dropped the first set of Sunday’s rematch at the Student Activity Centre. The second set looked like it would be more of the same, as the Avalanche built a 21-18 lead. But Joel Kleingeltink’s tip shot found some open real estate on the hardwood to earn the hosts a side out, and he followed with consecutive aces to knot the score 21-21. The Cascades would go on to win the set 25-23, Connor Nickel capping it off with a resounding kill, and they would win the next two sets in succession to wrap up the weekend sweep (22-25, 25-23, 25-20, 25-21). UFV (10-8) is fourth in the PacWest, while fifth-place COTR fell to 8-12. “It felt like a bit of a sluggish game for us,” Cascades head coach Kyle Donen analyzed. “We didn’t start great, which put us in trouble right from the get-go in each set. And the one set we did have a great start (the third), we kind of let them get back into it. We just need to focus on being a little bit more consistent. Donen was pleased with the offensive balance his team showed, with Kleingeltink spearheading an attack which was guided ably by setter Adam Fredrickson. With starting libero Isaiah Dahl dealing with a nagging injury, Donen took the opportunity to insert Nick Bruce at libero. Bruce, usually a left side, had missed some time earlier in the semester due to a knee issue, and is in the process of working his way back into the lineup. “I felt like I needed to get him engaged in a game,” Donen explained. “He’s been having some good practices, he just hasn’t had a chance to get into full game mode. It was, in fact, the first time Bruce had ever played libero in his volleyball career. “I was a middle through club season, and started the year at middle and left side,” he said with a grin. “It was nice to get back out there, and it’s a lot of fun playing libero. I really enjoyed it. The University of the Fraser Valley wrestling program geared up for the Canada West championships by hosting their second annual home tournament, the Cascades Classic, on Sunday at the Envision Athletic Centre. The event drew 70 wrestlers, most of them from four other Canada West wrestling programs – the Saskatchewan Huskies, Regina Cougars, Alberta Golden Bears/Pandas, and Calgary Dinos. The open tourney also drew competitors from the NCAA Div. 2 Simon Fraser Clan and the University of Washington’s Husky Wrestling Club, among others. Cascades varsity wrestlers Pravi Dhaliwal (women’s 59 kg) and Devin Purewal (men’s 72 kg) competed in their final matches prior to the conference championships, which run Feb. 12-13 at the University of Winnipeg. Dhaliwal, a rookie out of Abbotsford’s W.J. Mouat Secondary, finished third in her weight class, dropping matches to Ashley Osachuk of the Burnaby Mountain wrestling club and Saskatchewan’s Faye Tuck. Purewal, a sophomore who won a Canada West silver medal last season, was battling a nagging shoulder issue and finished fifth in his division. Brad Hildenbrandt, competing on behalf of the UFV non-varsity wrestling club, finished fourth in the heavyweight (130 kg) division. The Saskatchewan Huskies finished atop the team standings on both the men’s and women’s sides. The Huskies men amassed 33 points to outdistance Regina (28) and Alberta (25), while the ladies squad posted 11 points to edge Calgary and Alberta (seven points apiece). “It was great to have the Canada West teams here, and the SFU NCAA team made the trip up, so we had good representation from all programs,” said Arjan Bhullar, who serves as co-head coach of the Cascades alongside Raj Virdi. “We had good matches – Pravi and Devin wrestled well. There’s always things to work on, always things to build on. Dhaliwal called the Cascades Classic “a learning experience” for her heading into the conference championships. “The first year has definitely been a lot harder than high school wrestling – it’s a whole different game,” she said. “It’s definitely a big jump. 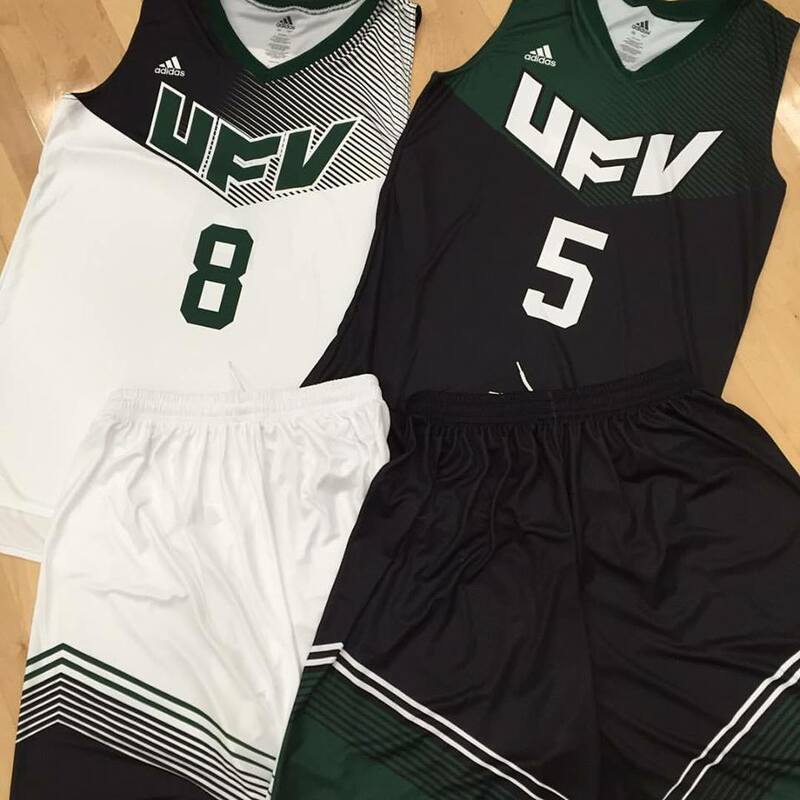 Be the first to comment on "UFV Sports Sunday"